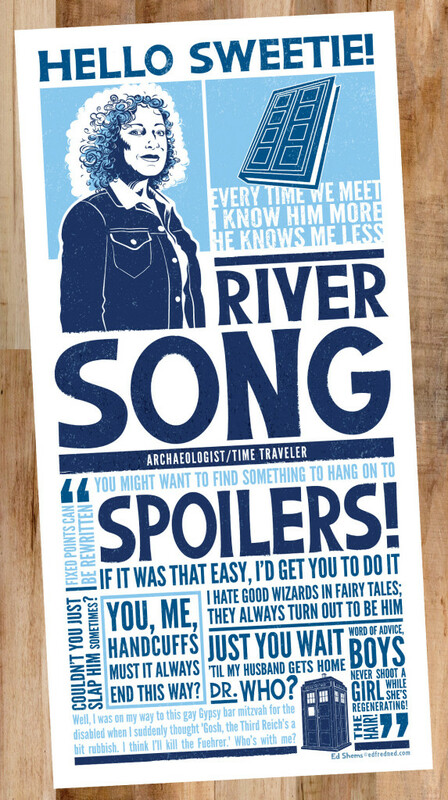 River Song as played by Alex Kingston. Quotes from the wife of Dr. Who. I recently visited Hatch Show Print in Nashville, Tennessee and was inspired to create some faux letterpress prints. I love the imperfection of letterpress (especially when printing old posters) and wanted to include the wonderful textures that come with it!